Our Screamer W/ Slip & Slide is one of our most exhilarating bounce house rentals! 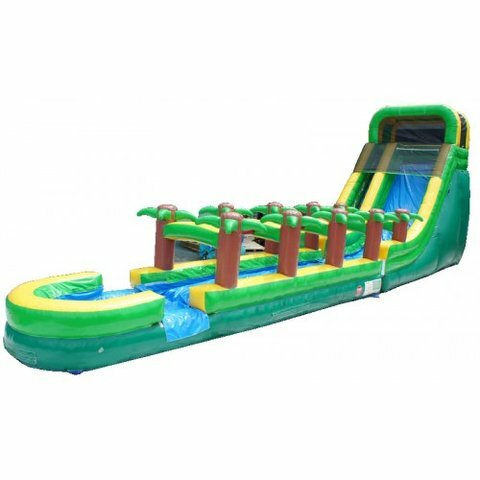 It features a tropical theme with bright green and yellow walls along with inflatable palm trees, as well as an impressive 57' long slide that provides hours of fun! We do ask that you specify in the order form whether there are any time constraints that we should be aware of, and for Saturday bookings, let us know if Friday delivery works as well. We sometimes deliver earlier for weekend parties at no extra cost!